February 18: 5 Power Lessons From 5 Great Leaders Who Made History On This Day! Our huge universe is absolutely supportive to everyone, while only a few utilize this support and are remembered for what they do to the world. Standing out is what makes you different. Striving long with the only ray of hope- faith, is what frames the medium between you and your ambition. Courage and dedication are steps which take you there. Meet these historical elites who courageously fought through every obstacle and are today the definitions of triumph. Life is never a bed of roses and smooth lawn. Our blessed lives are certainly surrounded by challenges just like how a beautiful rose has thorns in it. 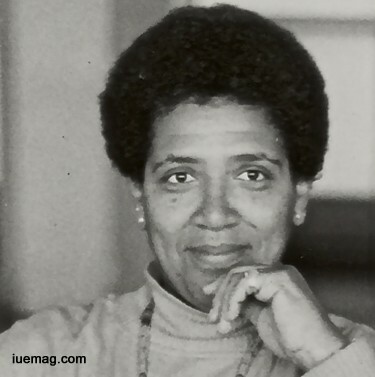 Learn from Audre Lorde, as a powerful essayist, documented her own struggle with breast cancer in the Cancer journals; having undergone a mastectomy, Lorde refused to be victimized by the disease. Instead, she considered herself and other such women to be warriors. Later, the cancer spread to her liver and this latest battle with the disease informs the essay collection, A Burst of Light. This time, she chose to pursue alternative treatments rather than to opt for surgeries. Suffering cancer for more than a decade, she took an African name, Gamba Adisa, meaning "she who makes her meaning clear”. 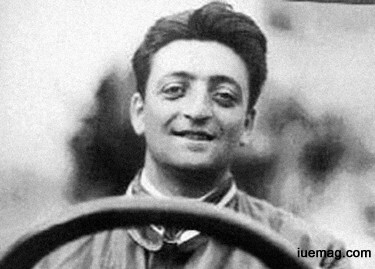 Italy's Enzo Ferrari, proved that adventure in life is what makes you resonant and keeps you open to receive pain and comfort in an undifferentiated fashion. He was a successful race car driver devoted his life to build immensely, powerful sports cars. He was bitten by the racing bug at age 10. After starting his auto racing career, he soon joined Alfa Romeo and managed its racing division after retiring from driving. The Ferrari marque, his well-known outstanding venture earned stardom as its drivers racked up numerous major championships. Given the chance to compete with the company's racing team, he made his debut in Parma-Poggio di Berceto hillclimb race, finishing fourth in his division. The emblem, a prancing horse, eventually came to represent the power and prestige of the Ferrari marque. Unwilling to damage an engine by pushing it to its limits, Ferrari nonetheless won his share of races and was honored by his country for his sporting achievements. In1947, he took the first official Ferrari, the 125 S, out for a test drive, scoring his first win as he sought to develop his own racing cars. Despite rocketing to the top of the racing industry, the entrepreneur endured immense personal turmoil during this period. Culture in itself has a lot of heritage in it. Beauty is redefined by the kind of grace it radiates. How many of us respect it? Max Klinger made it his passion to dedicate his life to give life to art in his own way. 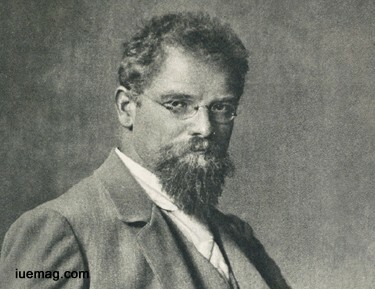 He was a German painter, sculptor, and printmaker known for his use of symbol, fantasy and dream imagery: series of pen-and-ink drawings called Series upon the Theme of Christ and Fantasies upon the Finding of a Glove. He became a skilled and imaginative engraver in his own right, in a short period of time and began creating sculptures. Living in Rome, he became increasingly influenced by the Italian Renaissance and antiquity. Having deep influence on Edvard Munch, Max Ernst, and Giorgio de Chirico, Klinger traveled extensively around the art centers of Europe for years, before returning to Leipzig. He mostly concentrated on sculpture; his marble statue of Beethoven was an integral part of the Vienna Secession exhibit of 1902. Klinger was cited by many artists as being a major link between the symbolist movement of the 19th century and the start of the metaphysical and Surrealist movements of the 20th century. Asteroid 22369 Klinger is named in his honor. His career oriented life teaches us the art of sculpturing our dexterity which throws light on the path to be followed by the flair-filled goals set by us not forgetting our desire for pronouncing the aspired designation in life. He was stuck hard to the power of imagination using the glue of perseverance. His unfading coerce contributed to his triumph. Digging the prosperity within color, he retransformed fantasy in terms of glory. Passion is an inherent characteristic of every human being on earth. It is our responsibility to identify your passion, work on it to make make your life amazingly beautiful. Passion is something which credits you with immense joy and satisfaction. Discover your strong interest and develop a deep relation with it and preserve it all through your life. Jack Palance was an American actor and singer best known for playing villainous roles and his award-winning appearance in the film City Slickers. He was nominated for three Academy Awards, all for Best Actor in a Supporting Role. The former boxer attended Stanford University and he became a Hollywood leading man, starring in Man in the Attic, followed by films such as The Big Knife, in which he played a conflicted Hollywood movie star. Palance won an Emmy Award for best actor for his portrayal of Mountain McClintock in the Playhouse 90 production of Rod Serling’s Requiem for a Heavyweight. He earned Oscar nods for his roles in Sudden Fear (1952) and Shane. Jack Palance continued to command lead roles, portraying a stream of characters that ranged from a court magician in The Silver Chalice (1954) to a bank robber in I Died a Thousand Times. He moved to Switzerland to star in many foreign features. Skill is an integral part in us and professionalism lies in how well you awaken the skill to mold it better. We all have hobbies. Hobbies are nothing but interests and if interest are taken up seriously then, they stand by us and raise our name and fame. This fact is certainly illustrated by Tiffany’s story. 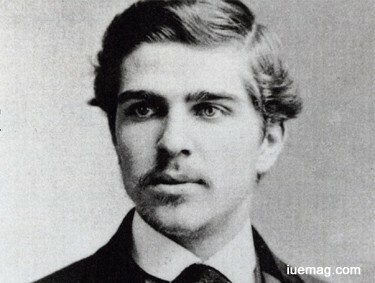 Louis Comfort Tiffany, an American artist, an internationally renowned glass maker, and a leader of the Art Nouveau movement was most associated with the Aesthetic movements when affiliated with a prestigious collaborative of designers. Tiffany started out as a painter, but became interested in glassmaking and worked at several glasshouses. He developed the "copper foil" technique, which, by edging each piece of cut glass in copper foil and soldering the whole together to create his windows and lamps. This can be contrasted with the method of painting in enamels or glass paint on colorless glass, and then setting the glass pieces in lead channels which was predominant in Europe until then. He created a type of glass known for its iridescent coloring called "Favrile," helping him secure his status as a world leader in glass production. Pursuing long-held aspirations to become an artist, he expanded his knowledge of various art forms with a focus on painting. These early observations and analyses sparked a lifelong passion for breaking into uncharted artistic territory. The business quickly met success and continued to grow in terms of opalescent glass, unique coloring methods, tireless experimentation and exquisite works, intricate stained-glass exhibits, vivid mosaics, blown glass art, lamps and ceramics. His fame reached new heights when he was commissioned by the President to decorate the White House. Any facts, figures or references stated here are made by the author & don't reflect the endorsement of iU at all times unless otherwise drafted by official staff at iU. This article was first published here on 18th February 2017.